Progress continues on the 1977 Trillium 1300. Some set backs along the way of course! So I decided to do my first window. Picked the curb side dinette window, figured it would be the easiest, so a good place to start. Prior owner had applied some silicon, so that added a little to the job. Pretty quick (for me). Key was the inside wood looked brand new! That was a pleasant surprise! Acetone did a good job on removing the silicone. Other lesson learned was to remove the inside handle first (duh). I used butyl tape from Amazon and one inch #6 SS screws (eBay). Bill, looks like fun. Very good choice to do a side window first. And yes the wood looks great. Great job! I used a double layer of already thick 1/8" butyl. Probably overkill. More pics when I get home. Looks good, I too removed all the windows, the wood on the front and back window was all rotten so I cut all new pieces and I used pressure treated 3/4 inch ply wood which I still had a good chunk of. It is actually a pretty easy job to fix all that. Yes, I figure the front and then the back are the two worst. I'll tackle the rear next. 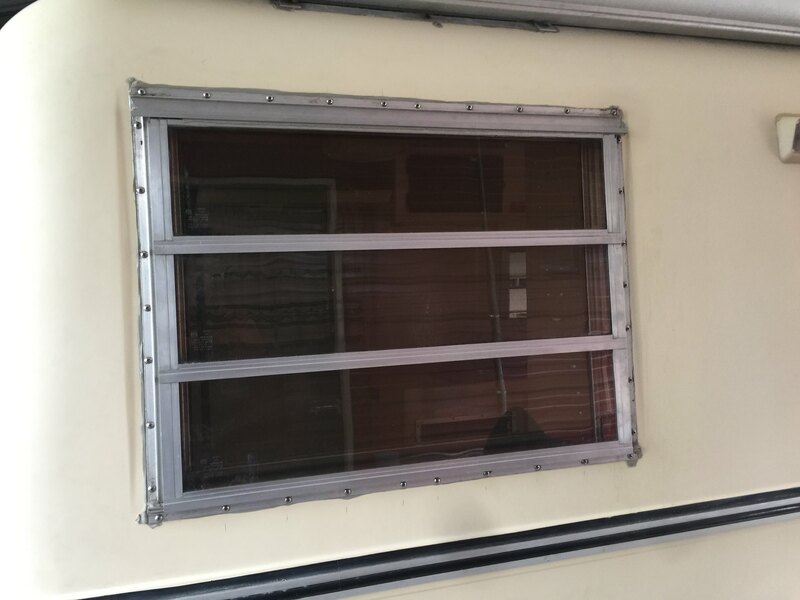 I resealed all the windows on our '79 boler. I was reading that some still had leaking after resealing so I decided to use a double layer of butyl. Also clean any weep holes and if you decide to tint any of your windows, it's easier to do when the windows are out and laying flat. Working on the third window right now, but I have to wait for more supplies. Rear window had one rotten wood piece on the side. Otherwise OK.
Front window rock guard only had butyl tape across the top and it was rock hard (cracked in my hands). No butyl on rock guard sides at all. If you haven’t checked your windows on an old Trillium I’d start there first! Front and rear windows take 12 ft of butyl tape, double it up and it’s 24 ft. Add another 8 ft for rock guard and if you double it, 16 ft. Needless to say a 30 ft roll doesn’t go far! I started with 3/4 inch wide roll, my next order is 1 inch wide. Figure window flanges are 7/8 wide so 1 inch is better. Need to find my needle nose vise grips! This one is tougher. The bottom driver side wood piece was badly rotted, as was the vertical wood piece on that side. Looks like it had been leaking for a long time! I'm also concerned about the cracks around the screw holes, almost all across the top. Oddly, the awning only had butyl tape on the top, neither side had anything under the awning framing. Really surprised more wasn't rotten. 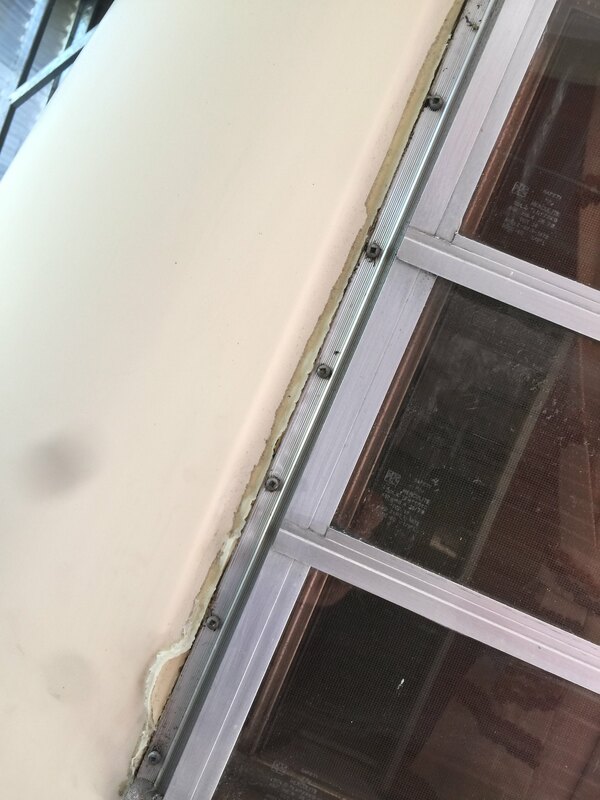 I am going to check to see if the cracks go through the fiberglass, that could slow down the repair work for sure. So far, one side piece on the rear window had some rot, and the lower corner of the front and one side had rot. Otherwise, everything has been good. Just got my second order of butyl tape from Amazon. Are you taking them out because they leak? 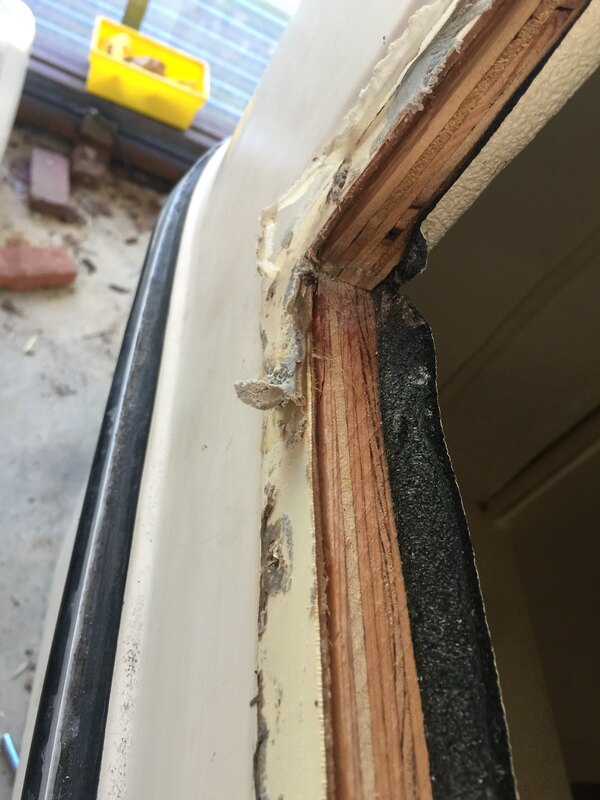 Because the butyl tape seals around the windows are very likely 41 years old. 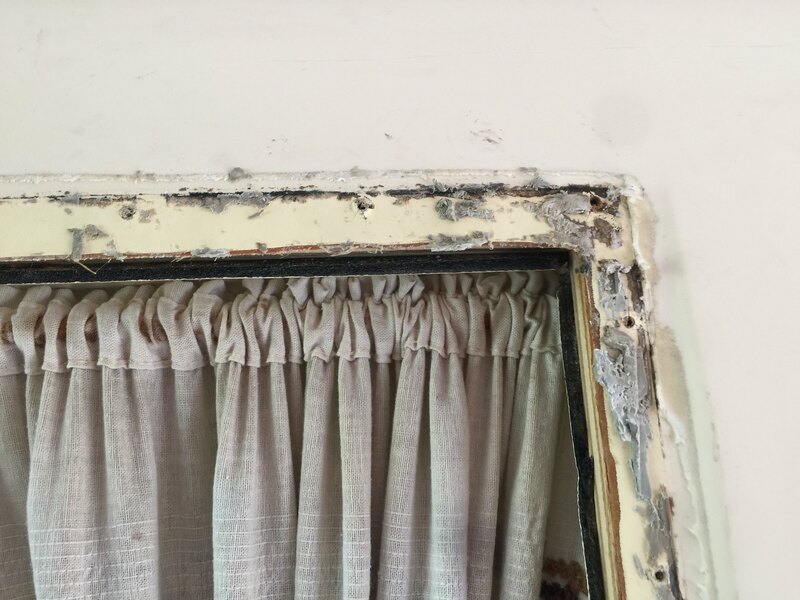 And so far, two of the three had at least part of the framing rotted out, so clearly some leaking has occurred. Trailer had been sitting in a garage for at least the last 15 years. Former owner never towed it. Interesting...thanks. 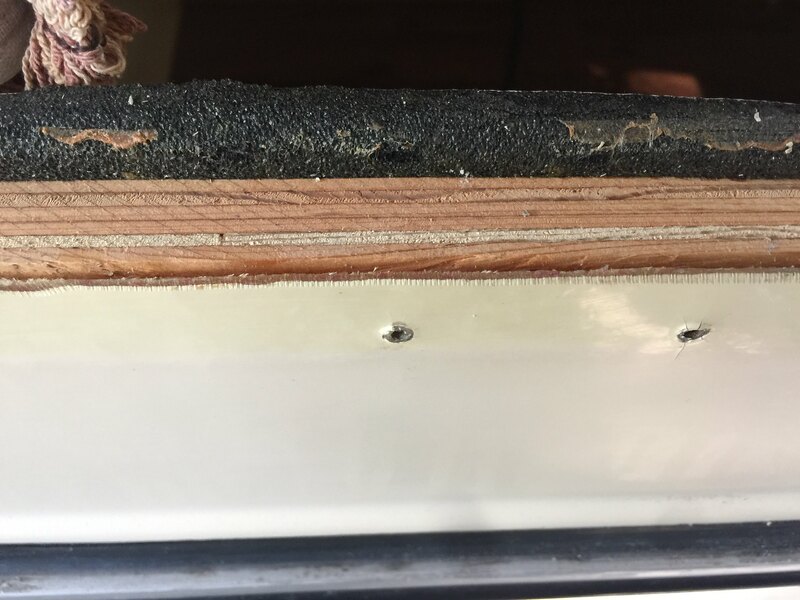 I asked b/c long observation has led me to the belief that the rot in the plywood is caused by condensation from the interior of the trailer and not by outside intrusion. 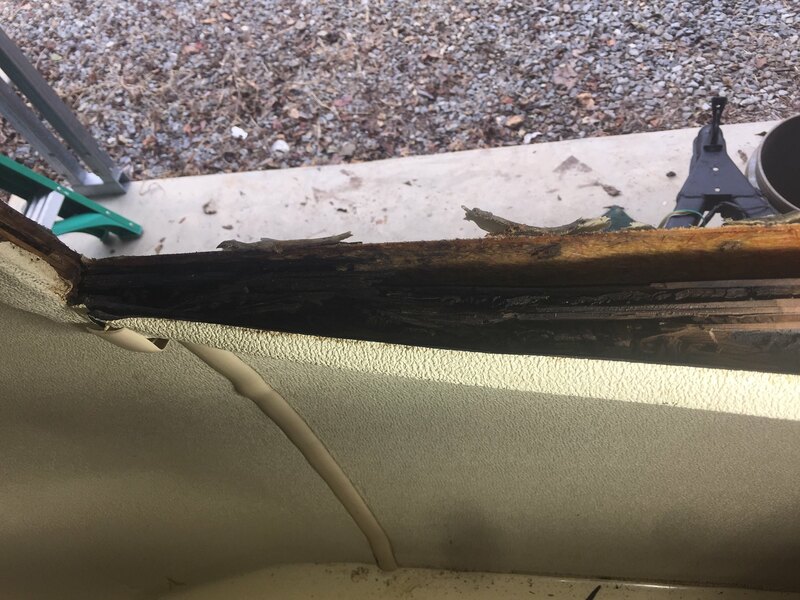 My Trillium's been exposed to a lot of rain etc in the more than ten years and thousands of miles I've owned/towed it and the only place it's ever leaked was from the belly band and the vent, neither one of which have any plywood framing. (And both of which I'm going to properly repair this winter FINALLY lol). 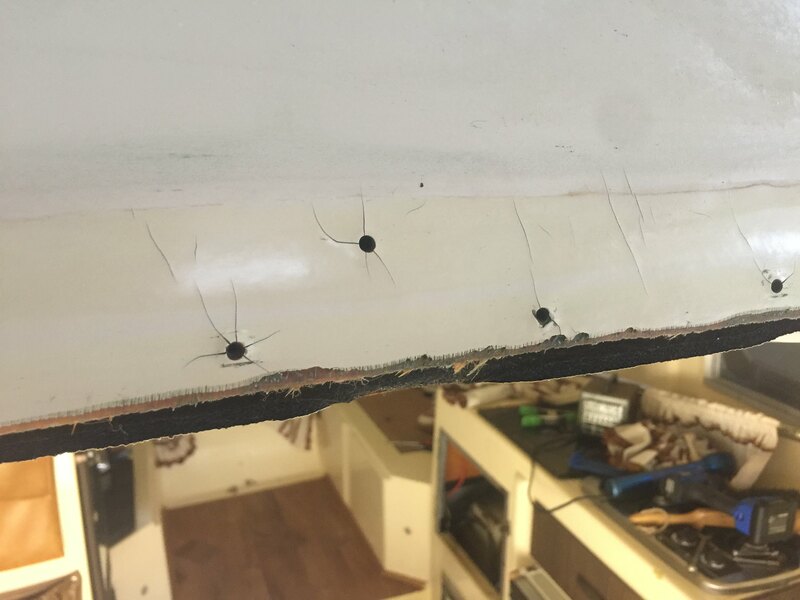 And from what I see when drilling into the plywood surrounds for hardware etc there's plenty of soft wood in there but the original butyl seals seem to be continuing to prevent the intrusion of outside moisture. I doubt the plywood rot has anything to do with internal condensation as all the rot in my situation has been localized. One window it was just in one corner, one was on the side only, etc. In addition, the wood is well covered by ensolite on the inside. 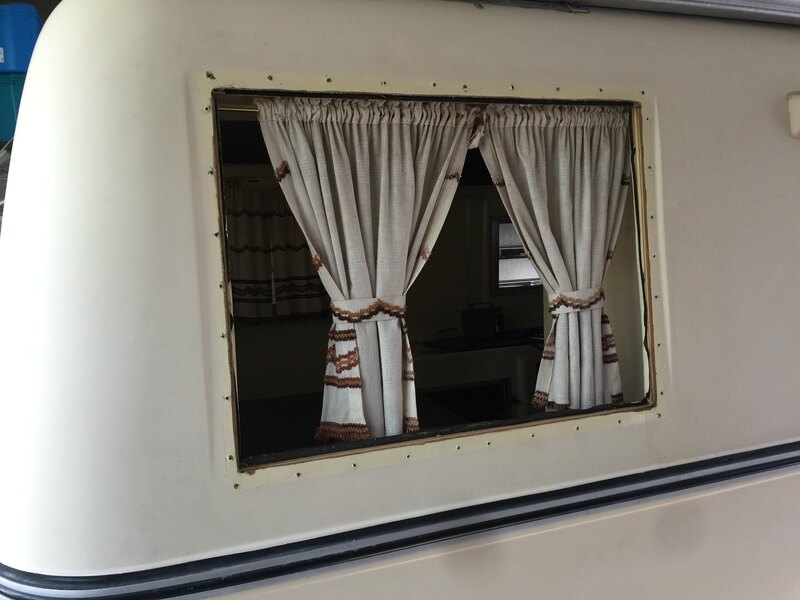 I wouldn't expect window leaks to be visible, unless you open up the gaucho or dinette benches and look for water in the pontoons. 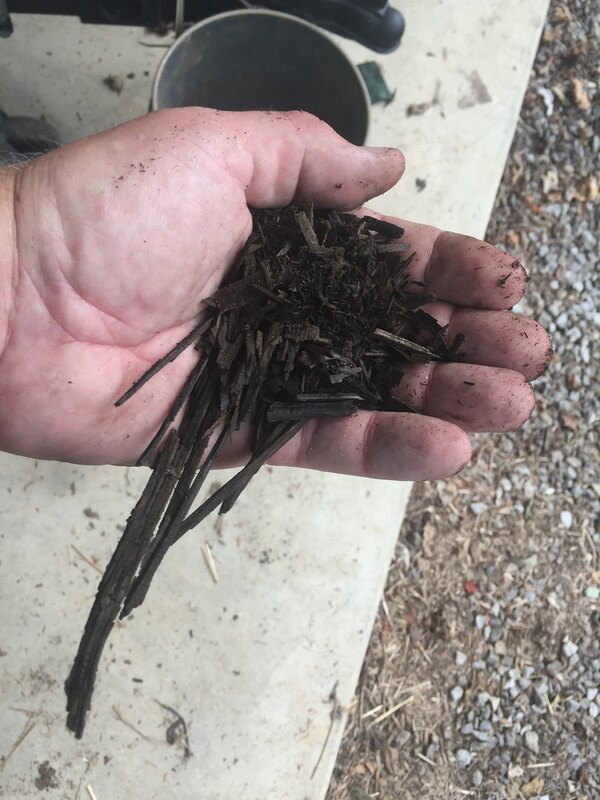 Soft wood = rot; rot = exposed to water, water = leaks. In addition, screws will show decay. If half the threads are gone, its been exposed to water for a long time = leaks. Some screws were perfect, others didn't have a single thread left. Once I removed screws, I knew where I was going to find problems. BTW, in one area, the butyl tape was rock hard and I could easily break it in half. Most of the butyl tape was fine. On the sides of the rock guard support, there was zero butyl tape and no signs that it ever had tape. That would leave those screw holes ready to leak. 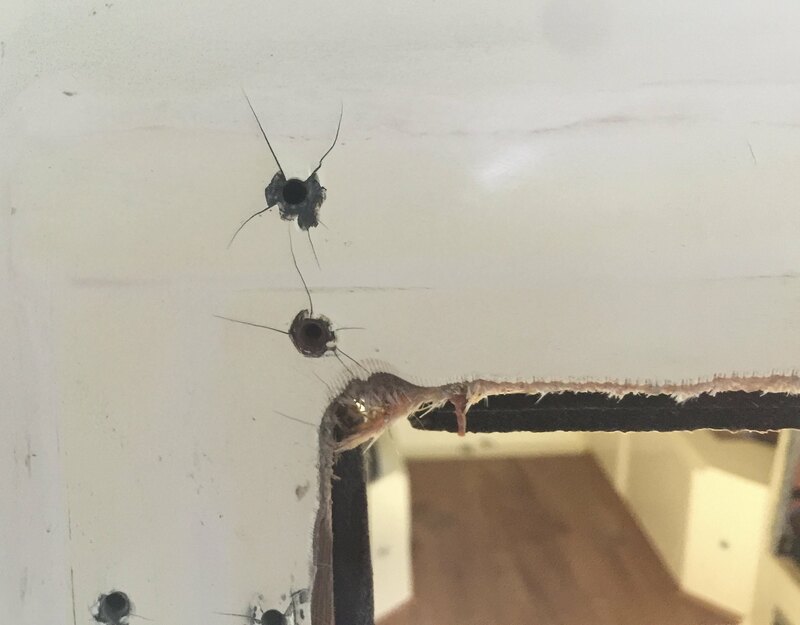 The piece of plywood across the bottom of the front window, 80% of it was pristine, like new. The other 20% was totally, completely rotted. What I have in my hand is just a small sample.